Test of 60 pts. 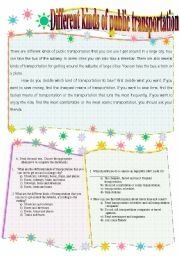 : based on Greetings and introductions / Countries and Nationalities,Multiple Choice,Matching / True/False,Short Answer. Test of 60 pts. 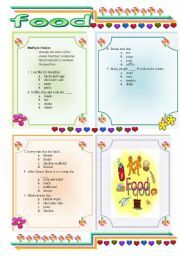 : based on Greetings and introductions / Countries and Nationalities,Multiple Choice,Matching / True/False,Short Answer. Answer Section. I hope you like it!!!!! IT BASED ON: Multiple Choices, Read the paragraph. 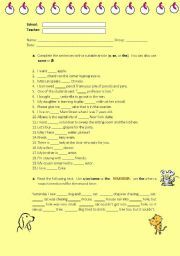 Choose the correct answer, Matching, Complete each sentence with a verb in the parentheses, complete each sentence with do, does, don´t, or doesn´t, Give Jill´s answer to each question, Answer Key Where student can be evaluated in what respect the topic food. I hope you like and be useful. 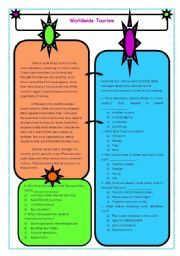 Worldwide Tourism with a reading where sudents can Choose and circle the letter corresponding to the alternative that answers each questions. Evolution of Transportation: Read the paragraph. 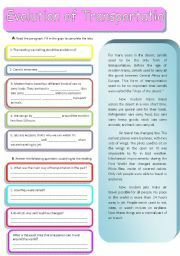 Fill in the gaps to complete the idea, Answer the following questions according to the reading. A Reading that follows a letter. Imagine you are Manuel. 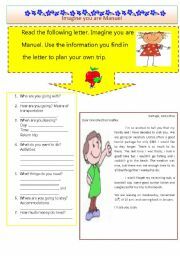 students use the information to fill in the letter to plan their own trip. Reading Comprehention: Different kinds of public transportation: Read the next text. 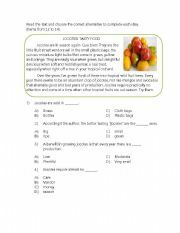 Choose the appropriate alternative t complete the statements. A Reading of a paragraph. 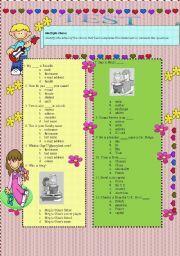 Students check („Ï) the correct answer to the questions. 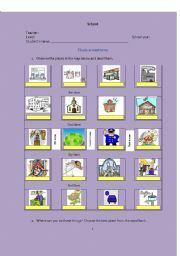 This is a practice to support vocabulary about places in the city in which students can practice identification of items and written description of places to improve their reading comprehension about the vocabulary studied.